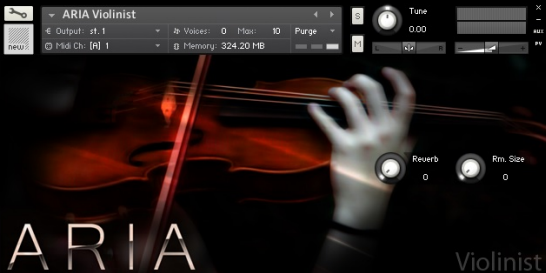 ARIA Sounds - Violinist for Native Instruments Kontakt - sampled solo violin by ARIA Sounds. 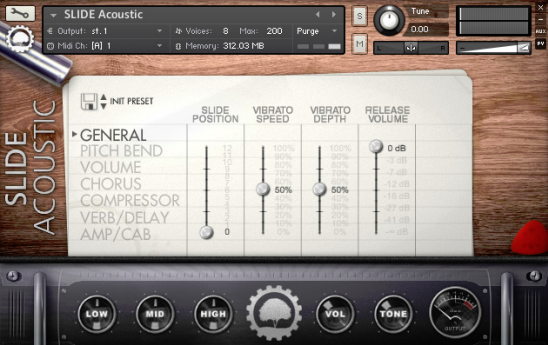 With true legato, selected with the interval plus three dynamic layers. In addition, programmed up-bow, down-bow alternation so that sounds are present in the tool as possible. With true legato sampled intervals, plus three dynamic layers.On top of this, we have programmed an up-bow, down-bow alternative for as natural a sound to the instrument as possible. The first part in a series of ARIA Sounds London Symphonic Strings (First Violins) is your first violins sample library with a wide range of articulations, and techniques, as well as new technologies and scripting. This library is ideal for all the needs of composers, including as a significant supplement to your existing palette of string. Orange Tree Samples Evolution Electric Guitar - Strawberry enables keyboardists to easily and quickly create authentic sounding electric guitar parts without the need to hand edit MIDI. 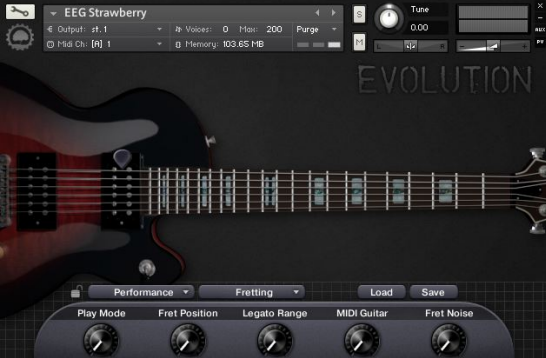 Orange Tree Samples - Evolution Electric Guitar Strawberry - very high quality electric guitar; the library is divided into two parts - lead and rhythm guitar. Rather clumsy key svitch - gorgeous script. Unlike conventional high-end NI KONTAKT guitar sample libraries and guitar VSTs, Evolution Electric Guitar doesn't require keyboardists to possess a foundational understanding of how to play the guitar in order to achieve authentic results. Orange Tree Samples Iconic Bass Jaco - fretless bass from the company Orange Tree Samples. With this guitar you can achieve the most realistic sound, and get all of the most beautiful that can be heard live on fretless bass. Iconic Bass Jaco is very easy to play and has a lot of options to get a desired sound. 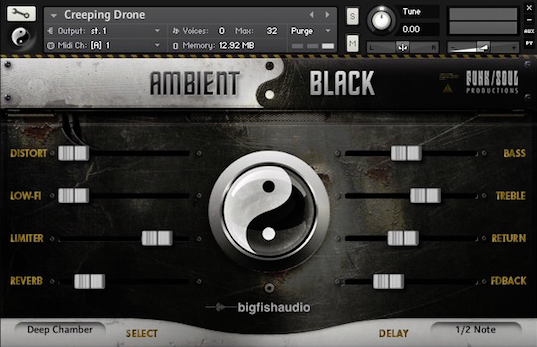 Big Fish Audio Ambient Black Library is the second in a series of libraries, sound design, developed to provide composers and producers of original collection of instruments and textures suitable for all types of ambient music. As the name implies, Ambient Black covers the gloomy border ambient spectrum, focusing on the sharp, aggressive, atonal, mysterious and industrial sounds.